We are love to share with you! In a modern world, where people are becoming dependent on smart phones for their smallest of tasks, it has become important for businesses to match customers level. The constant evolution of technology calls for the adoption of new techniques. Mobile app technology is one of them, which has grown significantly in the recent past asking businesses to switch to mobile. But, is it that easy to move to mobile? Some would say no, some would say yes and the question maintains its ambiguity. 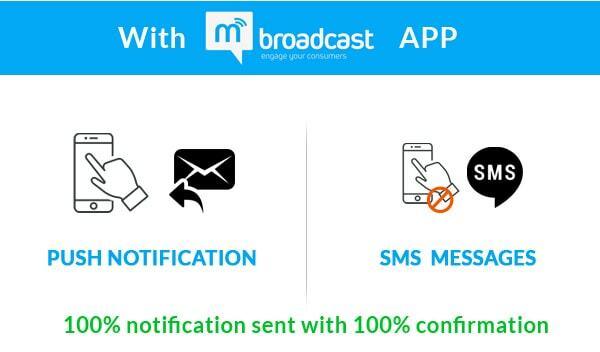 I would say it is extremely easy to go mobile and have your own business application, thanks to the makers of mBroadcast apps for communication. MEngage is an easy to use application builder tool for businesses that streamlines all your business efforts under one umbrella. Offering an opportunity to run your business in the most modern way possible, it leverages you to build custom mobile apps taking care of crucial aspects like mass communication, consumer engagement and business analysis. It was never too easy for a business owner to build an app that engages customers. It demanded a bunch of professionals to create such an application, implement functionalities to attract users attention and a lot more. It was one heck of a task to achieve the desired results. Sighting the need of businesses, difficulties they face in streamlining tasks and most importantly building a strong bond with their customers, MEngage came up with its extraordinary capabilities..
Top reasons to have a custom mobile application. The rate at which smart phone users are increasing, it is estimated that there would be around 2.5 billion smar tphone users by 2019 end. 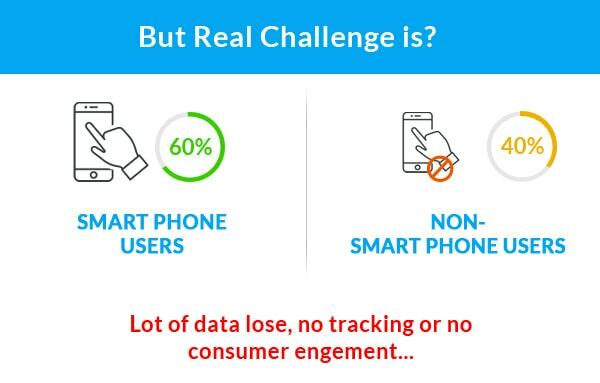 With increasing smart phone owners, businesses need to re-think while devising a consumer engagement strategy. To ease the load, MEngage offers a variety of ways to keep users engaged informed and updated at all instants. It is crucial to build a bond with your customers because nothing is better than loyal and returning customers. Following are some of the ways through which you can keep your customers engaged with MEngage. It allows you to form groups, often termed as channels based on interests, user behaviour and wants. The channels formed can be public as well as private. As an owner of the app, you can build n number of groups depending upon an interest. Public channels can be accessed by anyone using the app while private ones come with a limitation of being open to a desired section of users. Although the public channels are open to all, it doesn't mean that users privacy will be hindered. Security, integrity and safety have been on top priority while designing the whole framework. Being a business owner, you would like to entice your audience with customized offers and promotions. It is all possible with MEngage. You can send tailored offers, discount coupons and promotional emails to your customer list enticing them to avail your services. Via mobile apps, you can directly hear from your customers, be it their thoughts, their feedback, their reviews or anything else. A regular interaction is necessary to build an everlasting bond. Hence, its important to enquire them regularly about their experience asking them to rate your services and sharing their valuable feedback on the same. Enthral your customers by offering social sharing. You get an option to share anything with your peers within the app as well as to your social circle on popular social networks like FaceBook, Twitter etc. MEngage, a white label app builder that provides an ideal ecosystem for building a customized app to engage customers, retain them and eventually increase your revenues in the end. 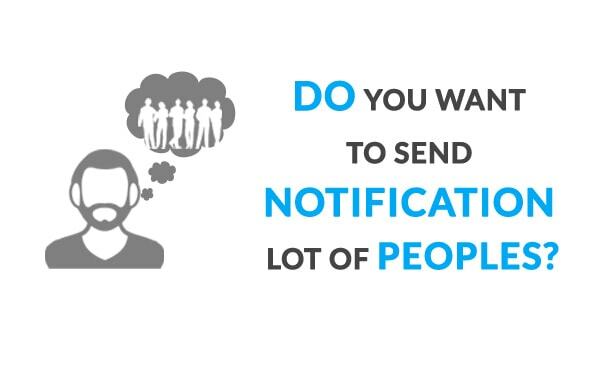 Ever wondered how effective are the notifications sent across the digital space are? Is the information delivered by the them is accurate, adequate, secure and on time? Probably not. There is a huge chance of information loss over the digital channels due to several unknown factors. One of the major concerns for the business owners is timely push of notifications. mBraodcast, an app builder covers every single thing with minimal of effort. It offers a professional environment to run your business. No personal leak is there. The platform is completely secure, modern and loaded with amazing features. In a world, where technology has taken over, it is important for businesses to cope up with the same to achieve unimaginable. With a majority of people owning and operating a smartphone, it has become a must for businesses to have an app. But, is it possible without you possessing knowledge of how to build an application? Yes, it is. mBroadacast has created a platform for young entrepreneurs who wish to build an app for better engagement, growth and increase productivity of their businesses. With MEngage's awe-inspiring feature list, you can not only build customizable apps for your business but also keep your customer base engaged at all times. 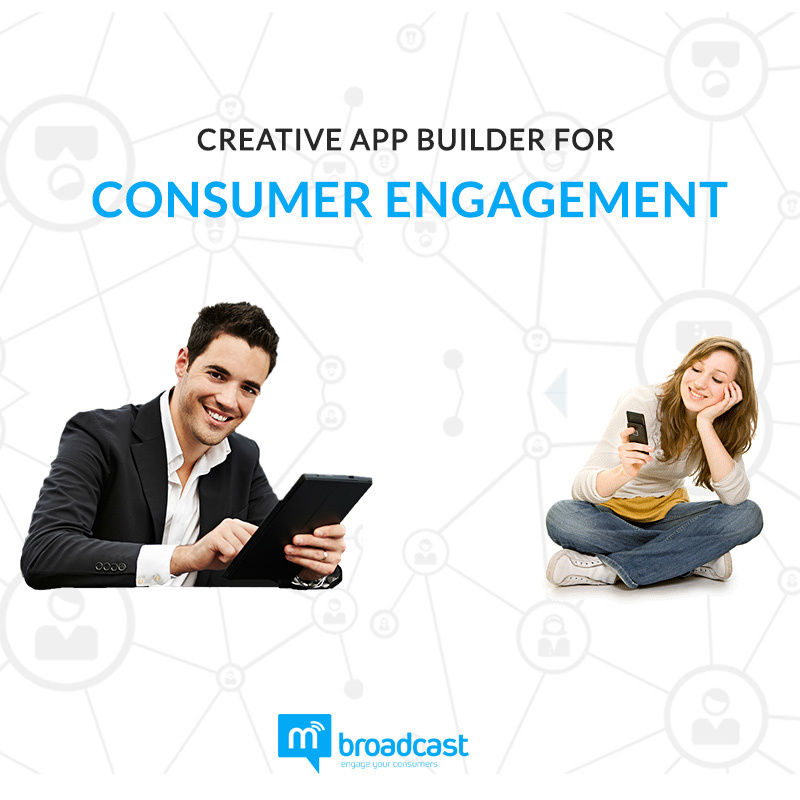 All the above mentioned issues have been covered by the white label consumer engagement mobile app builder, MEngage. It takes care of all the aspects required to run a business in an effective manner considering all the modern technicalities and advancements. Here's what it has in store for you. MEngage is an effective tool, which can empower your business like no one else. It has been designed to cater the needs of a small business owner at an affordable pricing. It helps in saving the extra cost incurred to hire a developer, designer, marketing and maintenance teams. Draft in your requirements, select a theme, load in your details and hit publish. Rest leave it to us. It is that simple, easy and effective. So what are you waiting for? Get in touch and build your dream app now. How to signupin the website? I unable to get the confirmation email. MEngage is a mass consumer engagement application for both Android and IOS .It will help in communication the target audience. It is a team of wide variety of technology individuals, Startup Entrepreneur's and Co-founders. The organization believes in building never-ending relationships with customers by sharing professional and ethical values.